Originally Published in DeneenBorelli.com on 8/19/14. 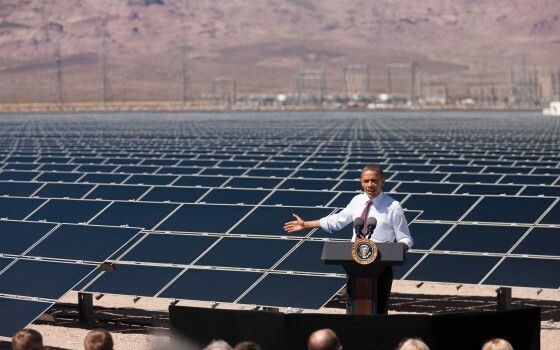 In yet another example of President Obama’s failed command and control energy policy, a Department of Energy backed solar plant is killing thousands of birds. Unlike traditional solar power that converts sunlight into electricity through photovoltaic power cells assembled in panels, BrightSource energy uses solar thermal technology to generate power. Located in the Mojave Desert on the California and Nevada border, BrightSource’s Ivanpah facility uses over 300,000 mirrors to heat water in three 40 stories high boiler towers. The steam produced by the reflected sunlight spins turbines that produce electricity. Unfortunately, birds looking to feed on insects that are attracted to the facility’s light literally get fried by the intense heat of concentrated sun rays. Think of this like a scaled up version of a magnifying glass used to burn ants. Sen. Kay Hagan (D-NC) had been in office for less than two months when she, in February 2009, cast the deciding vote for President Obama's wasteful $830 billion stimulus bill. After the passage of the measure, the North Carolina Democrat blasted out a press release to spin her vote stating that "this legislation delivers on our simple promise to change the way things work in Washington -- for working families and not for special interests." As former President Clinton famously redefined the meaning of “is,” President Obama also changed the meaning of enrolled with regard to his health care law.